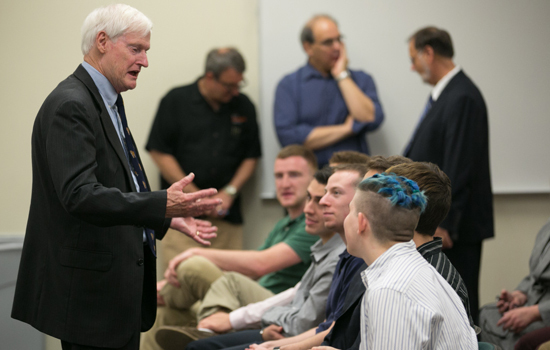 Through MAGIC Spell Studios, RIT is creating a public-private partnership to capitalize on the university’s faculty expertise and student talent and create new businesses. RIT is at the epicenter of a public-private partnership that could catapult the region as a leader in the rapidly growing digital media industry. RIT has received a total $13.5 million in funding from New York state, plus $3 million from Dell and $12.4 million from Cisco Systems Inc. that will be used to launch MAGIC Spell Studios, a university program that will link RIT’s internationally ranked academic programs with high-tech facilities needed to commercialize computer gaming, film and animation, graphic design and imaging sciences projects. 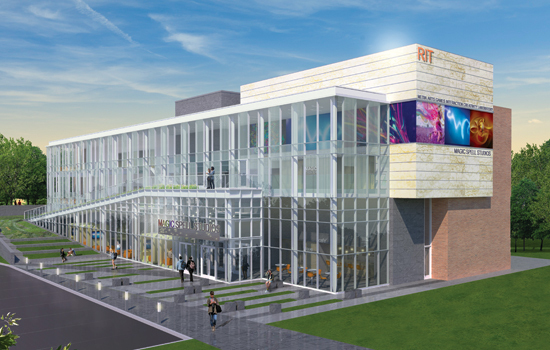 A state-of-the art studio, to be located in a new building on RIT’s campus, is expected to create 35 to 50 jobs in the first five years, with a goal of 100 jobs over the next 10 years. It will be focused on helping RIT students launch companies right here, propelling an industry that has been taking hold locally with entrepreneurial enterprises such as Darkwind Media, a company created by four RIT students that employs 17 and is moving into RIT property at 40 Franklin St. in downtown Rochester as part of the START-UP NY program. Creation of MAGIC Spell Studios, with investment from the state and industry, will make the Rochester region highly competitive for attracting and developing a digital media cluster. The digital media field takes advantage of increasing convergence between the film/animation and video gaming industries, visible by the tools and methods used to create such blockbuster films as the Lord of the Rings and Iron Man, as well as others. On the gaming side, industry analysts predict that with explosive consumer demand for smartphones, tablets and other devices, the international market will reach $102.9 billion by 2017. According to the Entertainment Software Association, the video game industry grew four times faster than the American economy between 2009 and 2012, with employment up by more than 30 percent and the average employee earning average annual compensation of up to $95,000. A recent Fortune article, “The 10 most successful states for video game development,” ranked New York state as fourth in growth with 8,137 employees and an economic contribution of $378.5 million. The article noted that while many of these companies are in New York City, the state’s other significant industry hub is in Rochester. RIT is a world-renowned academic leader in digital media fields. Among the graduates of its nationally ranked School of Film and Animation are several Academy Award winners. MAGIC Spell Studios would tap into the talented pool of RIT students to make production assistance available to filmmakers, allowing the region to create new opportunities for the state’s popular film and television tax credit program, which Gov. 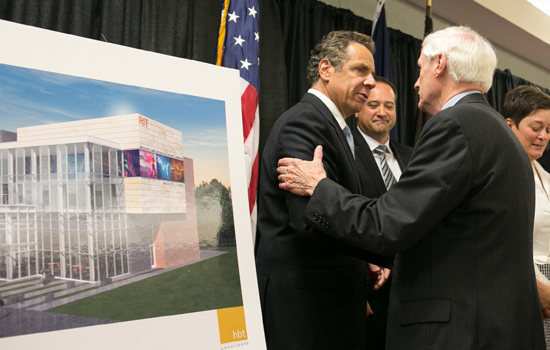 Cuomo has championed as an economic development tool. RIT has experience in this arena, including placing students as camera production assistants for the Rochester-filmed portions of The Amazing Spider-Man 2. RIT’s game design and development program is consistently ranked among the top in the country, and its alumni are industry leaders in computer science, software engineering, computing and information science and imaging science. Alex Kipman, a 2001 graduate of RIT’s B. Thomas Golisano College of Computing and Information Sciences, is named as the primary inventor on more than 100 patents since joining Microsoft in 2001 and has led four major breakthrough products for the company, including Kinect in 2010 and Microsoft HoloLens, which will bring holograms to Windows. Two digital media projects in design at MAGIC have garnered numerous industry awards. Super Daryl Deluxe won the 2015 Intel University Games Showcase and the 2015 Microsoft U.S. Imagine Cup and is headed to compete in the Microsoft World Semifinals. The game’s creators, two RIT students, are incubating a gaming company in MAGIC Spell Studios. Another gaming project, Splattershmup, created by an RIT class, is being showcased at the Digital Games Research Association in Germany. Nearly 1,000 widely recognized employers, such as Adobe, Microsoft, Disney, Boeing and Canon, regularly recruit RIT students to work at their companies. One of MAGIC Spell Studios’ goals is to create local job opportunities, giving talented graduates and others a reason to stay, helping reverse “the brain drain” of local college graduates. MAGIC Spell Studios would join a growing industry cluster, including START-UP NY company Darkwind Media, which is part of a downtown Innovation Zone. An industry cluster is attractive to job seekers because it offers a broader array of future opportunities, making it more likely they can stay in the region even if they switch employers. Destler said MAGIC Spell Studios is the perfect example of how a university can both serve its students well and be an economic driver.